Ethel Merman, what more needs to be said? Belated greetings Funny Names Fans. A few funny things happened on the way to today’s tardy Tuesday post. Yes, I know today is Tuesday, but . . . I was supposed to post last week. Let’s just say between recovering from the flu, my computer suffering the black screen of death, and the data transfer from my back up to my new computer hasn’t gone well. Somehow I think the back-up is speaking in “Basic” and the new machine is speaking in “Linex”. So if you will bear with me for a fresh post until next month, this month I would like to re-introduce you to the Belter of Broadway. Take it away Ethel . 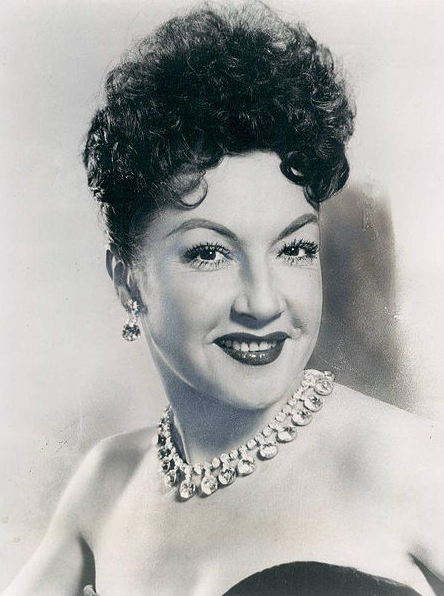 . .
Ethel Merman, a siren of song, stage and silver screen. Born Ethel Agnes Zimmerman in Astoria, Queens, New York in 1908. She graduated from high school in 1924 taking a job as a stenographer at the Boyce-Ite Company earning $23 a week. Moving over to Bragg-Kliesrath Corporation for a $5 a week increase and eventually promoted to personal secretary of Caleb Bragg, whose repeated absences from the office racing automobiles gave her time to catch up on the sleep she lost the previous night performing at private parties. When she began performing at nightclubs, she thought her name too long for a marquee. She considered taking her grandmother’s maiden name, Hunter, but shortened it to Merman to pacify her father. Lucky for us. Her next step, performing with Jimmy Durante at Les Ambassadeurs. Not long after starting she endured a tonsillectomy while fearing it might damage her voice. But after recovering she belted stronger than ever. Auditioning in 1930 for George and Ira Gershwin’s Girl Crazy singing, “I Got Rhythm”, she was cast straightaway. 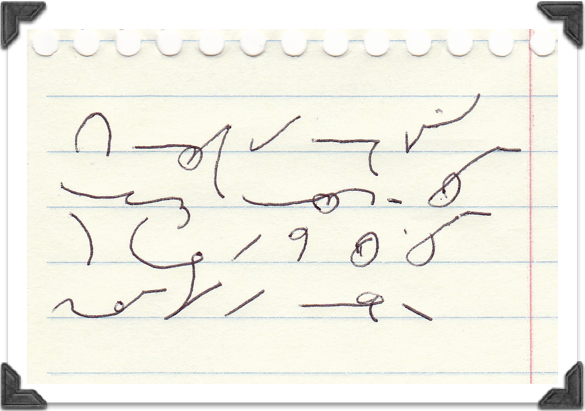 After it opened George Gershwin told her, “Well, never go near a singing teacher…and never forget your shorthand.” She never did. She performed in Humpty Dumpty in 1932, it opened in Pittsburg in August and closed the next month. I’m guessing irony may have helped here. Rewritten and retitled Take a Chance, it ran for 243 performances at the Apollo. By this time she earned $1,500 a week. Not bad for a stenographer during the Depression. Fast forward to 1945, recovering from a C-Section after the birth of her second child she was offered the role of Annie Oakley in Annie Get Your Gun which featured her now signature song, “There’s No Business Like Show Business.” It ran for 1,147 performances. She went on to star with Donald O’Conner and Marilyn Monroe in the film There’s No Business Like Show Business which borrowed its name from that famous song. Married four times, the marriage to her last husband, Ernest Borgnine, lasted 32 days. In her 1978 memoir, Merman, she included a chapter, “My Marriage to Ernest Borgnine.” It’s one blank page. She didn’t miss a beat, in 1979 she released “The Ethel Merman Disco Album”, with the 71-year-old performer singing her Broadway hits to a disco beat. While never making the Billboard charts it was a hit, and played regularly at Studio 54 with live appearances by the star herself. Her last film, the 1980 comedy Airplane!, she played Lieutenant Hurwitz, a shell shocked soldier who believes he’s Ethel Merman. In the performance Merman leaps out of bed belting “Everything’s Coming Up Roses” as the orderlies rush to sedate her. Which leads me to why you’re reading this today. Last October, Dave blogged about the band Mungo Jerry and attached the video to “In the Summertime”. Planting a song worm in my brain until Ethel arrived. Take it away Ethel and friends. . . I laughed at that detail about the Borgnine blank page. Hilarious. she was quite a character to say the least! One of my favorite Ethel moments came when the “Script Girl” fell ill and Ethel typed all the rewrites for a film she was performing in. A BoFN redux post for Ethel Merman. Enjoy. First off, I hope your flu has abated. It has claimed 30 lives in our county this year! Yikes. I do remember Ethel in “Airplane” and in 6th grade choir when we had to learn “There’s NO business…” I always think of her as big-boned, but she certainly looks trim in this clip. I will say that Ethel had no tentativeness in her singing. Very sure-footed. Also, in a world where Archie Leaches become Cary Grants, she pretty much kept her name (just chopped a few letters off in the middle). 32 days with Borgnine was probably 31 too many. Anyone who can hold a note for 16 bars has got chops in my book. Regarding Mr. Borgnine, I suspect they were like gasoline and a match.